I'm so happy that you stopped by today because it's kinda a special day. 34 years ago today I married the man of my dreams! I can't believe that it has been that long ago - but here we are 34 years, 2 kids and 4 grand-kids later! That special day is even reflected in the name of my blog ---- Studio 5380. I have to say, I really love the way this card turned out - my hubby is not the "mushy" type and this card is perfect for him. 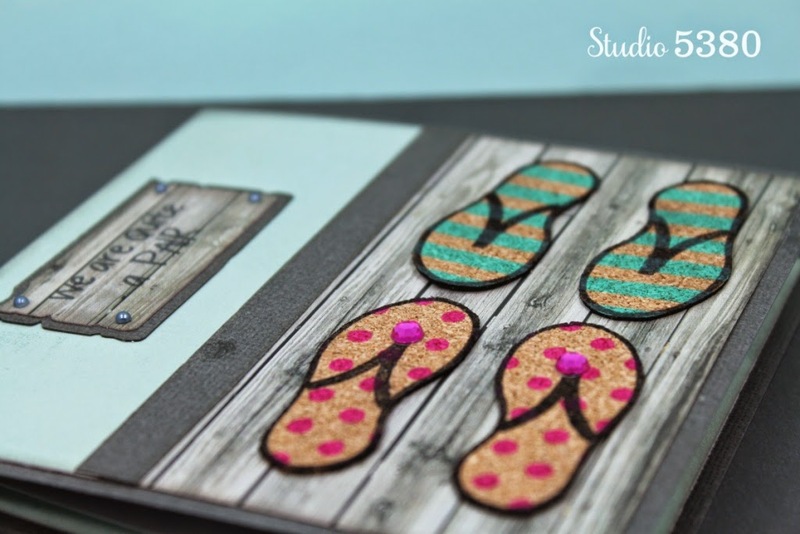 These adorable flip flops and sweet sentiment are from the brand new flipflops2stamp/sandals4summer stamp set by The Stamps of Life. This is such a fun set and perfect for summertime! 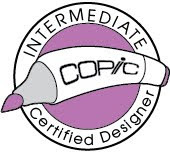 I recently purchased the Spring & Summer Cork Stack by DCWV and I wasn't sure how it would take ink. But let me tell you, these cute little flip flops stamped out beautifully! And...even better...the cork is self adhesive - cool stuff! So, there you go - thanks for letting me share a part of my special day with you! Happy, happy anniversary to you and your hubby!! I hope you have at least 34 more amazing years together!! What a fabulous card!! I adore the flip-flops!! Using cork was such a great idea!! The stamping looks so awesome!! Enjoy your happy day my friend!! Fabulous card and love it! Happy Anniversary to you both - hope you had a wonderful day. Hugs, Karon. Happy Anniversary! Love the card. Using cork for the flip flop soles, a genius idea. Stamping them, even better. Never thought of stamping on cork, looks great. TFS, fabulous. Happy Anniversary to you and your hubby!!WOW!! That is Awesome!! Such a perfect and very sweet sentiment! The flip flops are ADORABLE!! Happy anniversary to you both. What an adorable card. The use of the cork very creative. Flip flops are too cute. Happy Anniversary to you and your hubs!!!! I bet he LOVED this adorable card Tanya because I just think this is way beyond AWESOME! 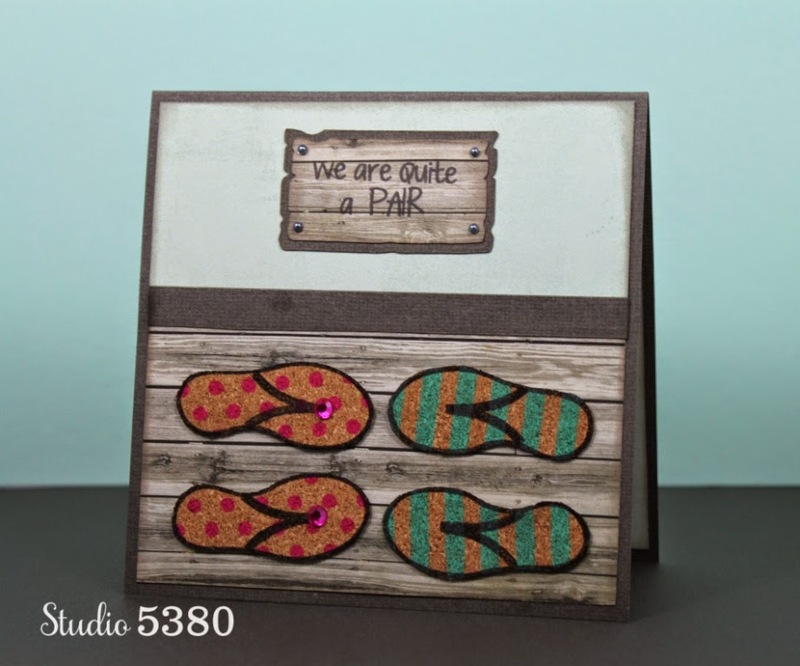 Love how you stamped on the cork paper and those flip flops ROCK!!! WOWZERS this is one amazing card!! Thanks for sharing and again Happy Anniversary!! Darling card for your hubby Miss Tanya. I hope he liked it. Happy Anniversary Tonya to you and your hubby! 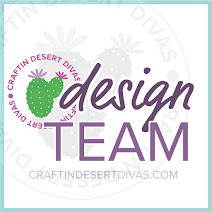 Wow, I was wondering how you came up with studio 5380, super cute idea!! I love your card-the flip flops are the coolest! Love the cork! Have a great day Tonya and again Happy Anniversary! Tanya ~ OOMMGG this is so ADORABLE!! I LOVE everything about this! I think this is PERFECT for your anniversary! CONGRATS to you both! I LOVE hearing things like this ~ makes me really love "True LOVE" even more! Okay that is so clever and sweet on why your blog name is 5380 ~ I ADORE it!! First, HAPPY ANNIVERSARY! I have to tell you I LOVE hearing someone say they married the man of their dreams....It makes my heart happy! What an awesome way to use that beautiful day for your blog :) So precious! So now that card of yours is QUITE FABULOUS! 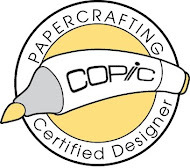 I am going to make a special trip to find that cork paper - AMAZING! I want to wear those flip flops and all the paper choices - well....JUST PERFECT! Adorable card and Happy Anniversary my friend! As for your card, it is just perfect for him! I love the sentiment, which is so versatile. I love that you paired it with these sweet flip flops. The wooden background is such a brilliant choice. Wonderfully done as always, my sweet friend! Super Cute. Happy Anniversary to you guys, hope you had a great celebration.